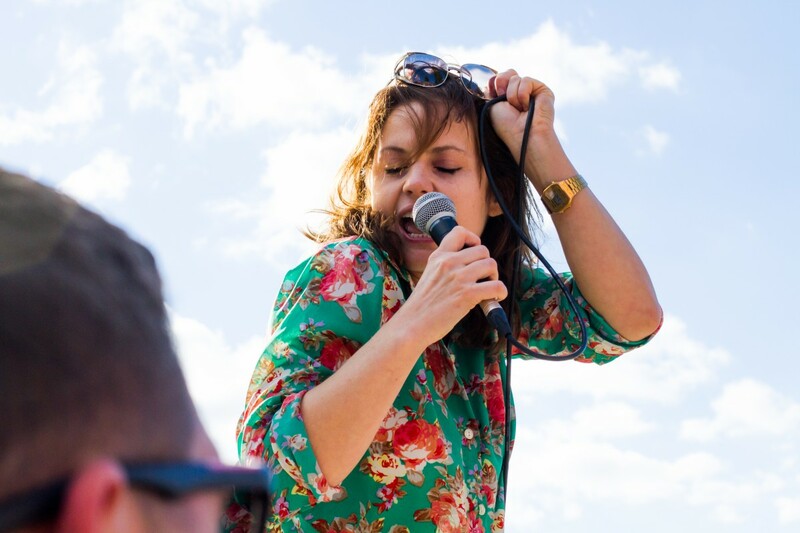 If there would be one word to describe Ifi Ude, and by extension her music, I suppose it would be effervescent. She is lively, laughs a lot and her music videos, several of which are available on You Tube, are at best eclectic, far removed from what one would call mainstream in Nigeria and even Poland. Despite her Igbo name, a legacy of her Igbo father, Ifi looks every inch a Pole, well perhaps with the exception of her hair, and in the subtle light of the exquisite Delicja Polska Restaurant, where we met for lunch, her eyes were alive and vivid. 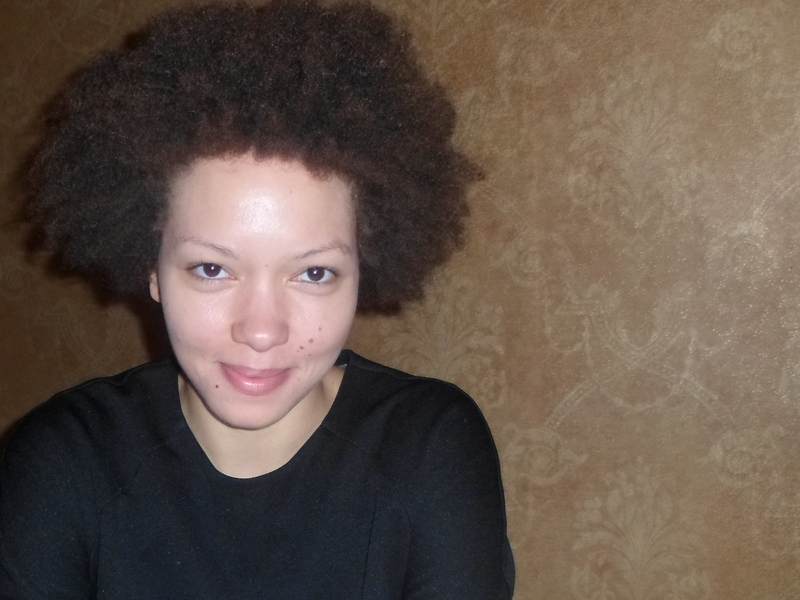 She was born in Enugu 27 years ago but had been moved to Poland by her Polish mother when she was three and half. She had had to explain her name to her fellow Poles until she hit the limelight in a Polish singing competition and became a national sensation for her brand of music, which explores Polish folklores and her African roots. Now, she says, no one ask her about the origins of her name. But regarding her music she explains: “I don’t have one role model. I catch inspiration in folk music. I want something more, not just reproducing something that is already in existence,” she said in her halting English, often pausing to find the right word. Her Polish is fluent and eloquent and she enthusiastically offers tips on reading, spelling and pronouncing Polish words, a language I understand is quite difficult to grasp for a foreigner. Ifi is familiar with legendary Nigerian singer Fela and his son, Femi, but other contemporary singers, she is not quite familiar with, and doesn’t seem very impressed with the little she had seen. “You know, I think it is the same problem as in Poland. Nigerian artistes are looking to America, they want to be like Americans. It’s a pity,” she said. But what irks her the most, and this she states quite categorically, is the use of effects to modulate voices. “Everytime, it’s vocoda, vocoda aaaaaagh, like that,” she says. And at this point, a kind looking stewards comes to take her order for lunch. She stops him with a hand and says, “wait, I must finish what I have to say.” When she was done speaking her dislike for computer improvised vocals in music, she turned to the waiter with a smile and an apology and then placed an order. Now her talents are coming through and are getting noticed. And yet, she is not being carried away, it seems as she has a clear idea of what her arts should be like and what purpose it should serve. Apart from music, she has just written children books which will be hitting the shelves shortly. She seems optimistic about this. But writing is not something she is as keen about as she is about other aspects of the arts. Her preferences are: music, film and photography, in that order – and this too she emphasized is how she likes it. Though she hasn’t starred in any films yet, her love for the art is more than a fancy. “I studied anthropology of culture and in the last two years, I focused only on movies, how to read movies, how to capture symbols in movies,” she explained. But in the meantime, her principal focus remains music and she is working hard to build her brand, which has captivated Poland. “I love Polish villages. I may stay a year or two in Warsaw to properly establish my brand and then move to the countryside, so that when I have kids I could say, ok, go out and play without worrying that something is going to happen to them,” she said. But with Ifi, it is quite possible she may change her mind, giving her impetuous nature, something one associates with creatively minded persons. She admits she is impetuous and this was clearly demonstrated four years ago when she had gone to a restaurant to eat. But when her order had arrived, she had something of an epiphany. She resolved instantly to become vegetarian. “I love meat. I loved meat very much but I felt something in my heart and I said, no, no, no, no. I felt something in my heart and I said no. Sometimes people want to quit alcohol, or quit smoking and they make plans and stop smoking for one week. I think one day you feel the pull of not smoking and it becomes a problem. Maybe I am an idealist but in my case it worked,” she said. And for four years she had not had meat or fish and now cooks vegetarian at home, sometimes Nigerian food: okra soup and the likes, meals her mother marvels at she said. And this not because she is very conversant with her birth country Nigeria which she had visited only twice since she first left (she couldn’t distinguish Igbo names from Hausa names for instance) but principally because of the bond and the uniqueness that heritage confers on her. “My family wanted me to live in Lagos but I couldn’t. I could live there for the experience but I have nobody there. In our age, the most important things are friends, not family because we are starting off creating our own families. If I don’t have my friends or my fiancé or my sister, I will be lonely,” she said. One could see a shadow crawling across her face. But she would be happy to collaborate with Nigerian singers and spread her brand across to the continent from where she draws some inspiration. She had already collaborated with Poland-based Senegalese singer, Mamadou Diouf on her hit song Ark Tika. But for now, she still has the whole of Poland to conquer with her music, and considering her talent and astronomical rise to fame, that shouldn’t take too long. When he left, the spaces in her heart and in the room grew with the profundity of what he had said. She sat on the floor, her eyes on the door, hoping he would come back and tell her it had all been a bad joke. She had looked at his quavering lips, and had tried to look into his eyes which he had kept averted. “What have you done?” she had asked, pressing her back into the wall, bracing herself for his answer. “But I love you.” She hated herself then for sounding desperate when she should be outraged. She sounded just like the 40 year-old divorcee she was confronted with the prospect of losing yet another man, to yet another woman. And she watched him walk out the door, his dignified shoulders bent under the weight of shame. That was when the tears finally came. John Abraham Godson is the a ‘Pole of NIgerian origin’. 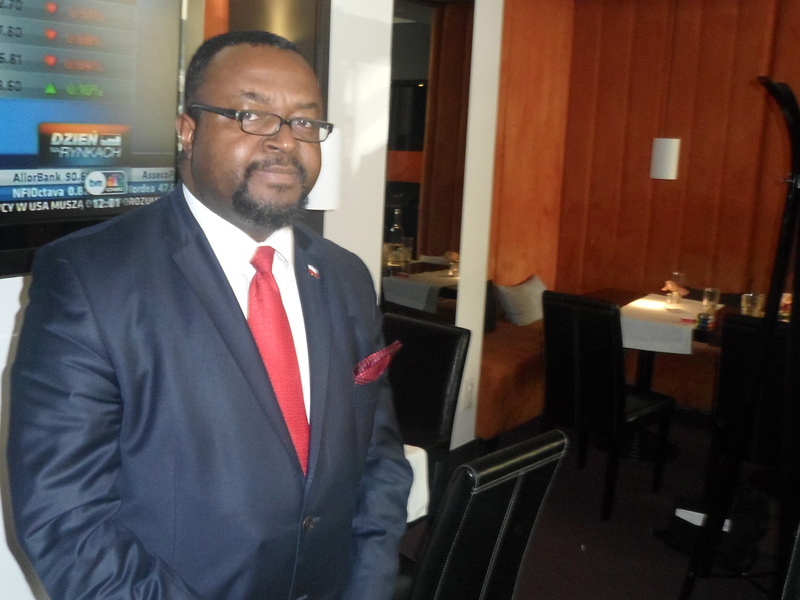 He is the first black man to become a member of the Polish Parliament. Having lived in this country for long and being a member of the parliament, do you consider yourself first as a Nigerian or as a Pole? I consider myself a Pole of Nigerian origin. I have lived here for 20 years so most of my adult life has been lived here. But that doesn’t mean I do not have any sentiments for Africa or for Nigeria. That’s why we started the African Institute that is promoting partnership between Africa and Poland and in the parliament; I am the head of the Parliamentary team on Africa and Chairman of the Polish/Nigeria group. And as you know, in April our Prime Minister visited Nigeria and that was because I convinced him to. So we are doing a lot to get involved in Africa but if you ask me where my primary place of assignment is, I think I would say it’s Poland. Have you been to Nigeria lately? Well, in the 20 years that I have spent here, I have been to Nigeria five times and three of those times were this year (laughs) I was there in March with a delegation of business people, then in April with the Prime Minister and a delegation of government officials and business people and then I was there in August to speak at a conference. So what are your impressions of Nigeria? Nigeria is changing but in my opinion it’s changing too slowly. I think in Nigeria we have all the resources and everything that is needed to make Nigeria a first world nation. It is the largest oil exporter in Africa, Nigerians love to learn, they are willing to pay for education, they are very industrious, very creative but I think our problem so far has been poor leadership. In terms of personal gains, in terms of enriching yourself, you have very good leaders, but in terms of thinking of Nigeria as a nation, in terms of national pride and patriotism, I think we are very poor at that. Our social capital is very, very poor. 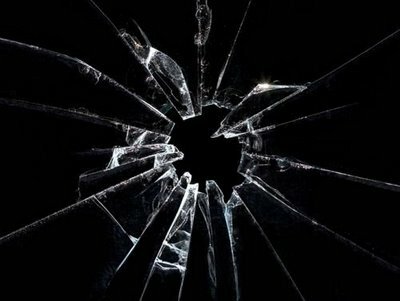 I mean, when I visited Nigeria I saw a lot of beautiful cars, wonderful mansions but all existing in surroundings and environments that are dilapidated and destroyed, so that tells you something, that people as individuals, they take care of themselves, their families, but in terms of society, it’s not reaching the entire populace. Do you think that is the fundamental difference between Poland and Nigeria? That is only one of the differences. As in most European countries, I think first of all, this is a longer democracy in the sense that people here are proud of being Polish. You find out that Nigerians have that feeling of being Nigerians only when they leave Nigeria. Most of the people who are in Nigeria, the feeling they have is the feeling of being Igbo or Hausa or Yoruba and so on. I think we need to work in that area of making people really feel proud that they are Nigerians and not just as a word of mouth but actually investing in the development of social institutions. It is a shame that someone goes to the university for a course that’s supposed to last four years and is finishing after seven years. That’s a shame. And when people lose trust in the social institutions and government institutions, that’s very problematic. So there is that need to instil trust in the government and leaders but leaders have to start by leading by their own examples. Most of the leaders are business people actually; they are in politics to enrich themselves. There is nothing wrong in enriching yourself but remember who has chosen you and why you are there. So what brought you to Poland? Well, I came to Poland as a missionary with an organisation called IFES (International Fellowship of Evangelical Students), in Nigeria it’s called NIFES and to work with students. That’s on the one hand; on the other hand, I received a contract after my graduation to lecture in a technical university. So I came to Poland as a missionary and as a university lecturer. I graduated in 1992 and worked very briefly in Ibadan at the IITA (International Institute of Tropical Agriculture) and worked there as research supervisor. Then I arrived here in 1993 and lectured in the technical university for four years and then University of Poznan for one year and all this time serving as a lay missionary. For 10 years I was a pastor. I pastored a local church before I got involved in politics. What made you fall in love with Poland that you decided to become Polish? It’s two sided, I would say. On the one hand, I think there is the God aspect of it that I feel Poland is blessed and God has called me to be here. I mean when I came to Poland it was a very poor country. As a senior lecturer I was earning 2.5 million zloty, old zloty, which is the equivalent of 250 zloty now and then it was the equivalent of 120 dollars and I remember I was earning more in Nigeria than I was earning in Poland when I came. And it was just after the fall of communism and people in Nigeria were saying, why to Poland, why don’t you go to Holland or to UK, or to US? But I felt Poland was blessed and God has called me to be here. And I get to travel a lot. I have been to more than 35 countries in five continents but there is no place that I felt at home as in Poland so, on the transcendental side, on the God side, I think it is God that has called me. On the physical or human side, there are lots of things that I love about Poland. I love the people. They have their weaknesses, you know, they like to complain and are rarely happy. If you meet a Pole and ask him how he is doing, the best answer he will give you is, well, it’s ok, it could be better. You hardly find a Pole who will tell you, fantastic! It’s wonderful. But basically, Poles are very friendly, very emotional, attached to the family, very hospitable. Secondly, I like the scenery, the landscape. They have very beautiful landscape and the environmental protection laws are very good, not like what we have back in Nigeria because I remember about 30 years ago, I travelled from the East to Lagos and on the road you will see those huge, huge trees but now they are no more. In Poland if you cut down one tree, you are obliged to plant 10 trees. So that preserves the environments. Polish people are very hardworking especially the young ones, they are very enterprising. The Poles are very much like the Igbos, they are rebellious. We have a saying that where there are two Poles, there are three opinions (laughs). They have their stands on things. One of the things the Poles are known for is what we call in Polish powstanie, uprising. Successful ones. The fall of communism started in Poland. It’s not only the unsuccessful ones I am talking about. They have that warrior attitude. The problem is they are good at starting it but to sustain it is the issue. At what point did you decide to cross over from being a citizen to a politician? It’s been a process, a process of going in and going out. And I do not consider myself a politician. I consider myself a social activist who is using politics to serve the people, who is using politics as a means to achieve a goal, not a goal in itself. It all started in the late 90s and early 2000s when my wife and I were involved in a number of social projects. We opened our home to the poor. We were earning a lot of money from our language school and we were using that to help the poor, give out scholarships and so when people around us saw what we are doing, they were the ones that encouraged me to go and represent them. In 2005 I got elected as a district councillor and my city has a population of 750, 000 and is divided into 35 districts and in one of the districts I ran for and was elected with the highest number of votes and served as deputy chairman of the District Council. So that was how it started, from the district councilor and later on to the city council and now this is my second time in the parliament. Like I said, it’s not really important where I am. I consider only where I am as an instrument to achieve a goal. So it’s not really important whether I am an MP or a mayor or a member of the European parliament or a minister. I have goals I am achieving and these are only means to an end, not an end in itself. In Nigeria, I can’t go to Enugu for instance and contest for a political office as a Nigerian. Did you encounter challenges like that here, people saying for instance you were not even born in Poland? Well, yes, it’s not like in Nigeria. In Nigeria, that tribalism is even institutionalized. If you want to run as a governor of a state, you need to be from that state. It’s not like that here. But those issues were here. It’s not racism in anyway. I think it’s because Polish people have not been used to a foreigner running for office here. When I ran for the lower levels, even though it was a sensation, or when I became the first black member of the city council, the first in the history of Poland at that level also, it was sensational, there were people who said someone who isn’t born in Poland shouldn’t be an MP but it was never really an issue. I mean, the fact that 30, 000 people voted for me when there were people who had 2,000, 3,000 and they were MPs, I got 10 times more votes than they got, it shows you that for my electorates, colour is not an issue. What is important is, is this person delivering on his promises? How difficult was it for you when you first came? Like in any culture, you know, you go through the romance stage where you are fascinated and then you go through the culture shock phase and you are disappointed by various things, you are struggling, and then you adapt. I went through those stages as well. For me one of the greatest issues was the language. It is the most difficult language in the world. I have been here for 20 years and I still make mistakes. This is due to the fact that I never had formal training in the language like most people who come here and go to language school. I learnt the language from my students in the university, from my wife. The weather was a problem for me at the beginning. Before I came, I was petrified and apprehensive. I was wondering what it would be like to live in a huge refrigerator or freezer. But when I saw my first snow on the 14th of November, 1993 at about 4 o’ clock, I was excited. Now I love winter. Have your children been to Nigeria? My two daughters . . . I have four children. Two boys and two girls. My eldest daughter is 18 and has just started university. My second daughter, Deborah, is 16 just started senior secondary. Isaac is 11 and Daniel is 8 and a half. That is a bit unusual here, isn’t it, for people to have that number of children? Yes, it is. Poland has one of the lowest birth-rates in the world. It’s in the 212th place out of 224 countries and it has the second least in Europe, only higher than Romania. The birth-rate here is 1.28 unlike in Nigeria where we have 5.5. (Laughs) Yes, and I am encouraging the Poles to go to their bedrooms and work because if they don’t do it, according to statistics, retirement age in most of Europe will be 75 years and if they don’t do it, they will need 107.5 million immigrants by 2050 because of the falling birth rate and the ageing population. So I am encouraging them to go to work (laughs). What has been the most significant moment for you here? I think every moment has been significant, from the time I was the youngest senior lecturer in Poland at the age of 23, to the moment I was the first black pastor in Poland. Many times I have been the first: first councillor, first black MP. I feel my stay here is pioneering, very inspiring. Are you very much involved with the Nigerian community here? Not only the Nigerian community, the African community because we don’t have that many Africans here, only about 5, 000 and about 2, 000 of them are Nigerians. Through the African institute and when they have problems, that’s I see them, that’s when they come to me (laughs). Also I also have a very good contact with the Nigerian ambassador here. The last three ambassadors that have been posted here, I have been the one who helped them settle in. Finally, what would you say is the perception of Nigerians here? Nigerians here are known for many reasons. They are known as good footballers. One of our best footballers here is Emmanuel Olisadebe and of course myself who is in politics. There are those known for petty trading, one of them was killed in 2010 in May. They came and started trading and the police wanted to round them up and there was a riot and accidentally he was shot. It led to a huge protest here among the foreign community. When you don’t have a huge number of people in a place you don’t have those kind of issues. I think Nigeria is having a better image than it used to have. The area where Berlin’s Muaerpark stands today was once a death strip through which the infamous Berlin Wall ran. Today, the public park straddles this area (hence the name, which means Wall Park) and is quickly becoming one of the most significant cultural hotspot of the city. On what used to be the eastern side of the wall on a fine Sunday afternoon, an Irish man by the name Joe Hatchiban pulls up at the park’s Bearpit Amphitheatre and set up his modest looking karaoke equipment on the circular stone stage. 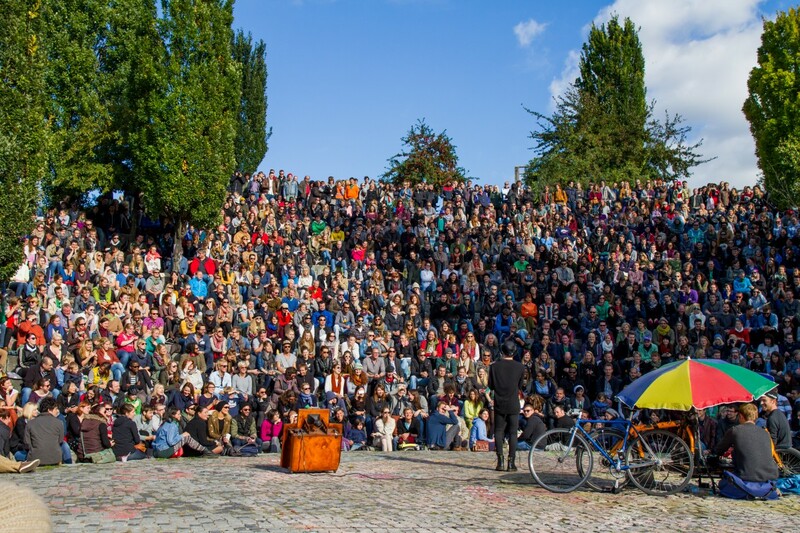 It is here that some 2000 people come every Sunday to witness and participate in the Bearpit Karaoke show, an event whose fame is growing exponentially and is quickly becoming a cultural identity of Berlin. On this sunny Sunday, Joe was at his element, teasing volunteers who had submitted their names to perform before a relaxed audience who occasionally take swigs of whatever it is they fancy. They are mostly young, mostly Berliners and a lot of visitors to the city. Some two thousand people come here every week for this. But the karaoke is not just for the young. In the stands were several elderly couples, loners and even the occasional geezers. Within the space of a few minutes, two old men took the mic to some rapturous applause. One of them, the one who did a German version of Frank Sintra, I understand is a regular feature at the show. Every Sunday he comes, does his Frank Sinatra—always the same song—basks in the applause and goes home happy. There were more, well, shall we say, exciting performances. Regular attendee, Natalia Ulrych really shook up the theatre with sultry dancing as she performed Britney Spear’s Toxic and had the audience cheering into Berlin’s blue skies. At the center of it all: Joe Hatchiban. There were performers from an obscure French island in the Indian Ocean, another from France itself, a dandy looking fellow who danced really well and thrilled the audience, and a subdued Italian, all in the space of minutes. And in the middle of it all is Joe Hatchiban who compeers and directs. In 2009, he set up his Karaoke equipment at the Bearpit and offered his mic to anyone bold enough to give it a try. Now every week, in fair weather, the event holds. Only the intemperance of winter forces the karaoke to hibernate for some months. But while the season is in swing, what will strike a first-time visitor is the ambiance; the people determined to have a good time, the singers emboldened to try. The reception they get from the audience is often encouraging. And when a performance is good, the audience usually joins in the singing. But even the not-so-great performers get an encouraging applause. Perhaps nowhere else is Berlin’s cosmopolitan nature more vividly demonstrated than here. Language is not a problem. Most of the songs are in English and hey, anyone can do any version he or she wants. I understand though that Joe is not disposed to people taking off their shirts. As the cheers and chorus rose and fell, a few metres away, some young men were busy playing basketball. 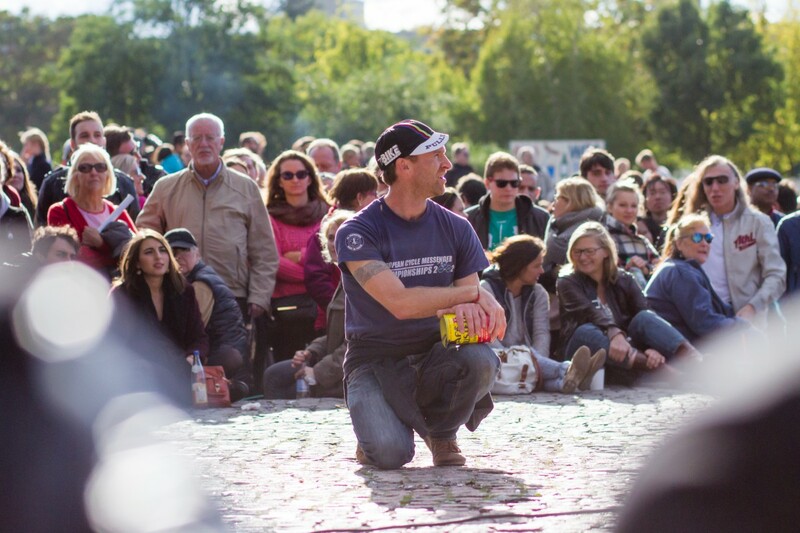 And going past the long-haired hippies selling wire contraptions for kids or some other crafts, the entertainers performing tricks, on what had been the other side of the Berlin Wall one comes up to the famous Mauerpark Floh Markt, or the Mauerpark Flee Market. Here you find Turks selling kebabs and assorted food, served hot, you find trinkets from the east and the west of the world, memorabilia and paraphernalia from decades gone: used hurricane lamps, old military uniforms, and helmets, old shoes and clothes. Just about anything. Most of them old. You can start a collection of just about anything here. And vibrancy is not quite like an African flea market, actually a lot less noisy. People here don’t shout. But there is a spirit here, an enthusiasm of people meeting and moving together and smiling into each others faces. So in a way, Mauerpark is Berlin. It is where the old and the new converge, the smell of the past, and the present, of a dark history and a promising future, of broken down walls, of bridges linking not only Berliners, but people from around the world. This place that had been a death strip keeping people apart is today the city’s hottest melting point.